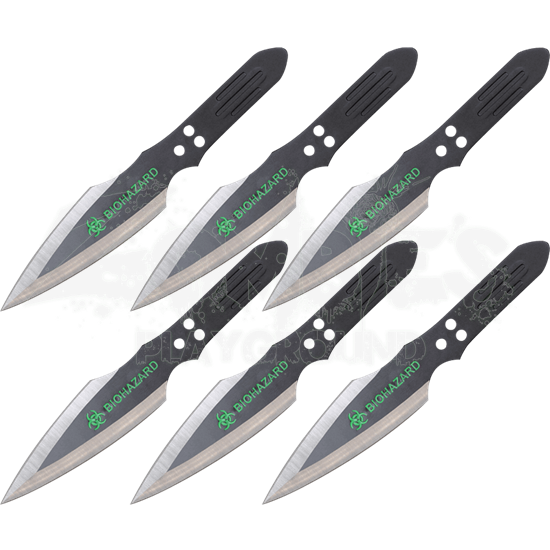 Displaying three holes and a finger groove in the ridged handle, the 6 Piece Biohazard Thunderbolt Throwing Knives are sleek competition throwing weapons. The green Biohazard logo decorates the center of the double edged steel blade. Crafted from a single piece of stainless steel, each sharpened knife is black with chrome beveled edges. The throwing knife set also includes a nylon sheath with a belt loop and six individual pockets. The circular cut outs affect the weight and balance of these zombie apocalypse weapons, making the blade heavier so that it hits point first. 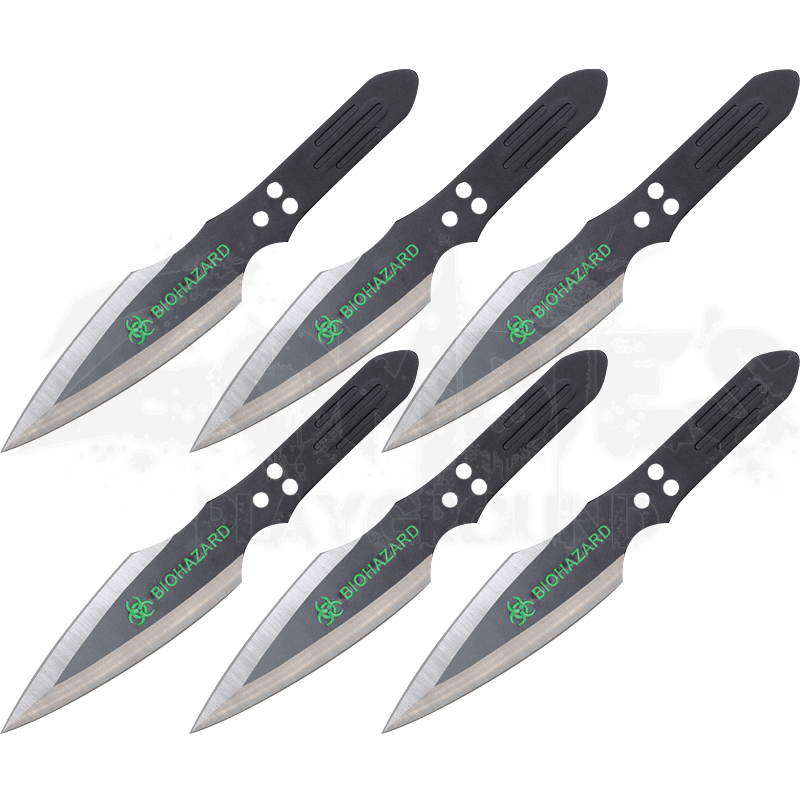 Precision crafted for competition or recreation, the 6 Piece Biohazard Thunderbolt Throwing Knives make a fantastic gift for any knife enthusiast.